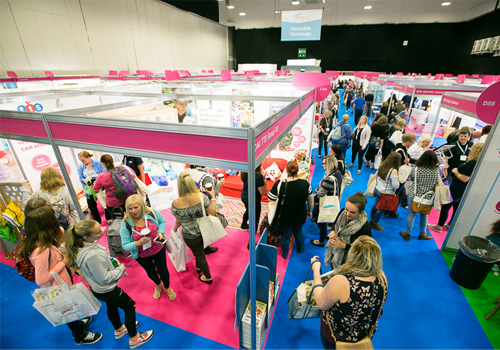 Childcare Expo is an inspiring and informative event that attracts all those working within the early years, childcare and nursery sector. Visitors travel from across the country to interact with dedicated suppliers, source the latest products and services, network with their industry peers and attend informative seminars and workshops. The event creates a dynamic platform to help maximise your business by exposing and promoting your products and services to a wide audience of industry professionals both before and during the two day event. How is the show promoted? At Childcare Expo there are a range of stand sizes available to suit every company. We offer two types of packages either Shell Scheme or Space Only. Thanks for such a great show. I have so much confidence in you guys and you work so hard to make it happen – well done. Well done to Emma and her team as always the event was very well marketed which resulted in heavy footfall and good leads for us an exhibitor. I think the events run by Broadway Events are run to a very high standard. Emma, Victoria, Carla and Andrea are all extremely helpful and go the extra mile to help. It was our first Childcare Expo and I thought it was extremely well organised and we were made to feel “at home” with everyone. Well done to you all and we hope to see you again next year. Just to let you know that we offered discount vouchers for orders placed within two weeks after the show which were so successful we extended for a further fortnight. As a result we have already more than covered the cost of the event, hence re-booking for next year.